Cadeddu MP, DD Turner, and JC Liljegren. 2009. "A Neural Network for Real-Time Retrievals of PWV and LWP From Arctic Millimeter-Wave Ground-Based Observations." IEEE Transactions on Geoscience and Remote Sensing, 47(7), 10.1109/tgrs.2009.2013205. One of the challenges posed by the study of the Arctic climate is that precipitable water vapor (PWV) and liquid water path (LWP) are extremely low during the winter season, with integrated water vapor amounts almost always less than 5 mm and integrated cloud liquid water amounts of less than 100 g/m2 in the vast majority of cases. Accurate retrievals of LWP are needed to improve our understanding of the processes at work within Arctic clouds. 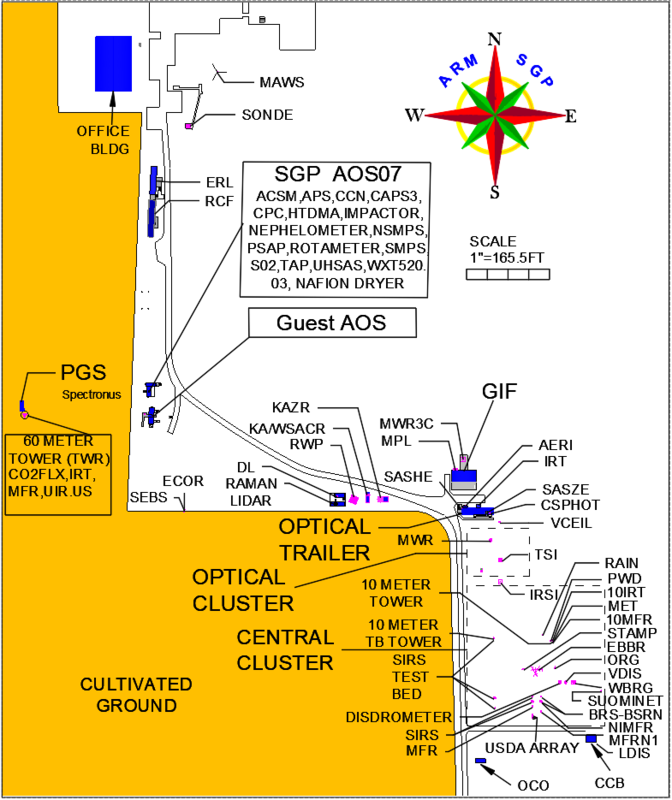 Currently the two-channel Microwave Radiometer (MWR) located at the Atmospheric Radiation Measurement (ARM) Program Climate Research Facility site in Barrow, Alaska provides real-time retrievals of PWV and LWP. However, in the Arctic environment, uncertainties associated with retrievals from the MWR can be as high as 50% for water vapor and 30% to 100% for LWP. This is because the atmosphere is very dry and the microwave signal received by the radiometer at these two frequencies is extremely low. A new neural network-based technique has been developed to retrieve PWV and LWP from a very sensitive microwave radiometer: the G-Band Vapor radiometer (GVR). Previous studies have shown that sensitivity of GVR channels to water vapor is approximately 30 times higher than the sensitivity of the MWR when the PWV is less than 2.5 mm and the sensitivity to liquid water is about 3 times higher than that of the MWR. However, the sensitivity is non-linear with increasing PWV and LWP amount, which necessitated the new approach. A simple neural network model--composed of one input layer, one hidden layer, and one output layer-- was trained with a large radiosonde data set. Results show that a neural network trained with GVR measurements can retrieve PWV with a 5% uncertainty when the water vapor is between 2 mm and 7 mm, compared to the 10% uncertainty achievable with the MWR. Retrievals of LWP display a markedly improved clear-sky detection capability and a retrieval error between 1 and 10 g/m2, depending on the amount of water vapor. An example of LWP retrievals from the GVR and the MWR are shown (with error bars) in Fig 1. A significant component of the work involved the realistic treatment and quantification of the retrieval errors associated with the neural network. Various contributing factors to the total error were identified and estimated as shown in Fig. 2 where PWV retrieval error percentages from three different retrieval techniques are displayed. Retrievals of small amounts of water vapor and liquid water have become an essential need to assess the effect of clouds and water vapor on the Earth radiation budget. The Arctic environment in particular presents challenging conditions in which traditional 20- to 30-GHz microwave radiometers operate at the limit of their sensitivity. The authors demonstrated that the use of the stronger 183.3-GHz absorption line can improve retrievals of PWV and LWP in very dry conditions, and a neural network algorithm is one technique that is well suited for the task. Time series of LWP retrieved by the GVR (red lines) and by the MWR (black lines). The dashed lines of corresponding colors represent ±1 standard deviation of the retrieval. Top panel: Data collected during part of February 15, 2007. Bottom panel: One clear-sky day of data collected on March 5, 2007. Total PWV retrieval error percentage for the GVR retrieval (crosses), physical retrieval (squares), and MWRRET linear retrieval (solid line). Errors are averaged over 2.5-mm bins. Physical retrievals are usually the most accurate; however, they are computationally more expensive to perform in real time.